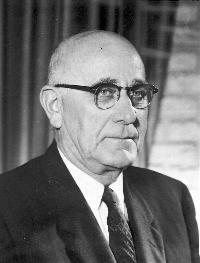 During his tenure at UCCE, Farm Advisor William Douglas Pine collaborated with other leading scientists to solve the decades-old problem of Klamath weed, a plant toxic to cattle. 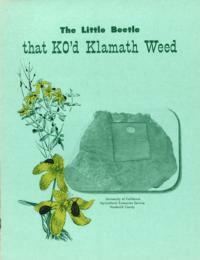 The plant, a European native also known as St. John's Wort, wild alfalfa, Tipton, and goatweed, had been introduced to the area. After the Agricultural Center was erected in Eureka, the bronze plaque with its bas relief of the now-famous creature was moved to the front of the building, where it remains today as a testament to the power of science to overcome a menace. 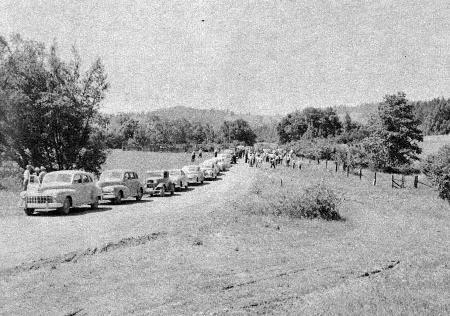 Yearly tours were made to keep people informed of progress. 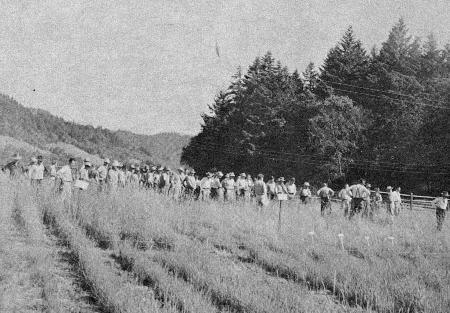 Before release of the beetle, there had been hundreds of demonstration and experimental plots. 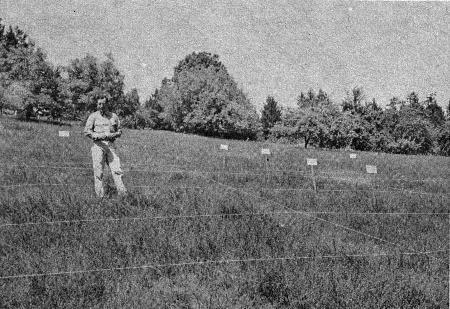 Alfred H. Murphy in the field during experiments.